Romantic relationships play a crucial role in individuals’ lives, for better and for worse. All romantic relationships encounter their share of challenges that can influence relationship satisfaction from one day to the next. 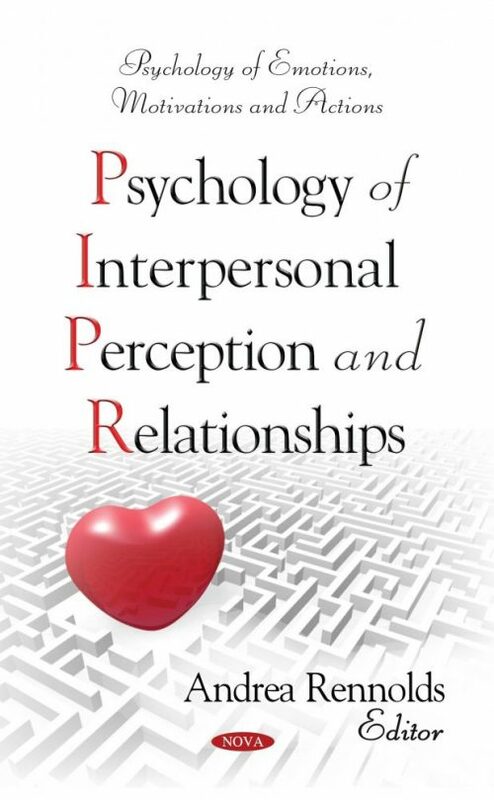 This book provides topics on the psychology of relationships and interpersonal perception. Some of the topics included are the science of improving relationships; the effect of attractiveness and a good sense of humor in relationships; perceptions of reproductive potential and personality traits; and an evolutionary perspective on characteristics of physical attractiveness in humans.